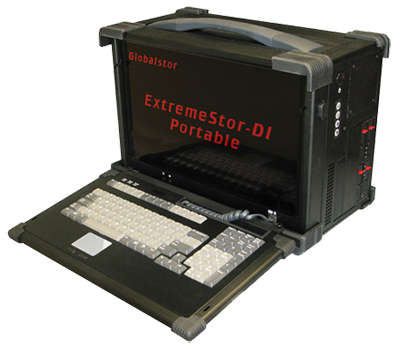 Globalstor’s ExtremeStor PCIe Expansion Systems allow Assimilate Scratch and Scratch Cine users to expand one host x16 Gen2 PCI Express slot to an expansion chassis with up to five additional PCI Express Gen2 PCIe slots. The expansion chassis’ non-blocking eighty lane PCI Express Gen2 switch enables the coupling of cost-effective host PCs and servers with high bandwidth, peer-to-peer capable I/O subsystems. Plug and play architecture allows users to expand their I/O capabilities regardless of their operating system. Support for Windows, MAC, Linux, Solaris as well as other operating systems is standard. With optional integrated RAID and capacities up to 144TB, ExtremeStor Expansion systems are the ideal solution for supporting uncompressed 2K, Stereo 2K and even 4K playback while also allowing use of multiple GPU’s, Red Rocket Cards, Fibre HBA’s or virtually any other PCIe card.